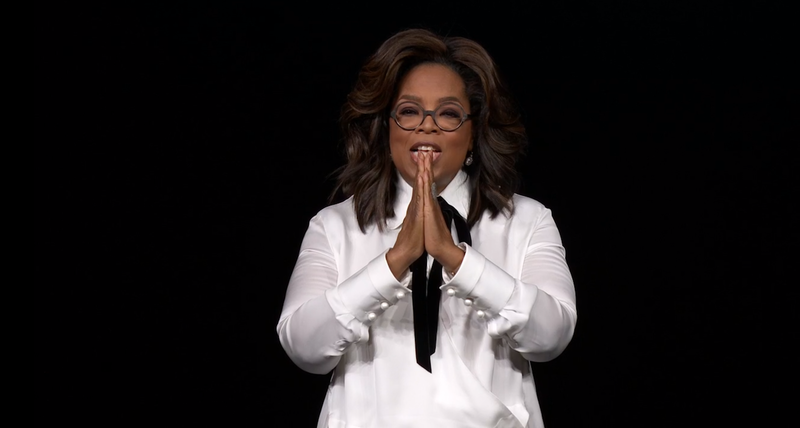 Oprah Winfrey made an appearance during Apple's latest Special Event, with some massive news of her own. Oprah is using her talents to bring several new goodies to Apple, including two new documentaries. One explores the toll of sexual harassment and assault in the workplace, called Toxic Labor. The other is an as-yet-unnamed multipart series about mental health and how depression and anxiety, PTSD, addiction, trauma, and loss is devastating lives daily across the globe. 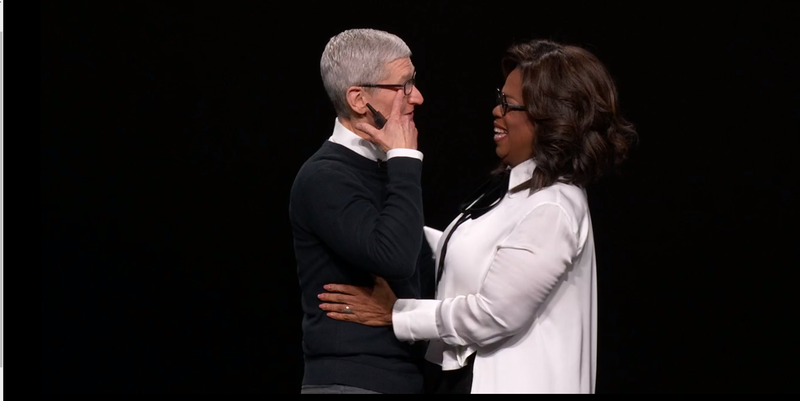 Tim Cook and Oprah embrace on stage. Winfrey also stated that she's building the "biggest book club on the planet," where Oprah and the author live and discussing various books and the stories written within them.